The majority of us love to use accessorises to make the most of our outfits and to show off our own individual styles too. And there are many positives if you love to do a bit of accessorising really. For instance jewellery and other accessorises don’t tend to take up much space in your room or wardrobe meaning that you can be a bit of a magpie with quite a collection. Another is that you can easily update older clothes with accessories that are definitely in fashion for a fresh look on old outfits. And finally, accessories mean that you can wear the same outfit in multiple different ways and use them to highlight different features. So if you haven’t already, you should make accessories your wardrobe’s best friend! What with the option available online and out there on the high street, accessorising even on a budget is pretty easy and there are items that will be sure to suit any taste. If you’ve been feeling the need to update your jewellery box, then read on to find out some of our favourite accessory picks from this season that won’t break the bank! You can tap into the 90s trend in the most stunning and glamorous way possible thanks to this gorgeous diamante choker from New Look. The beautiful cross-link design gives this darling choker an almost 1920s flapper girl feel and will be the perfect accessory to go with a Bardot style top, which are simply everywhere this season. Wear your hair up like in the image above to give this lovely piece its full effect and to really show it off. It costs £17.99, but we love a bargain so check out a New Look discount code first to check if you can’t get an even better deal on this piece. We might associate scarves more with winter, but a lovely light scarf can really set an outfit off to perfection during the warmer months of the year too without leaving you sweating. Especially if you have an early morning commute, a light summer scarf can be the perfect way to keep you warm on those fresh mornings. We love this dainty floral print one from Matalan which embraces the floral trend that is simply everywhere this season. Add into this mix the very fashionable tassels and you have the perfect scarf for this season. Get it at Matalan for just £6. In recent years the brand Oliver Bonas has been making a name for itself thanks to the fantastic home ware, fashion and accessory collection, and in particular we are in love with the gorgeous jewellery, which is great quality but also well-priced. 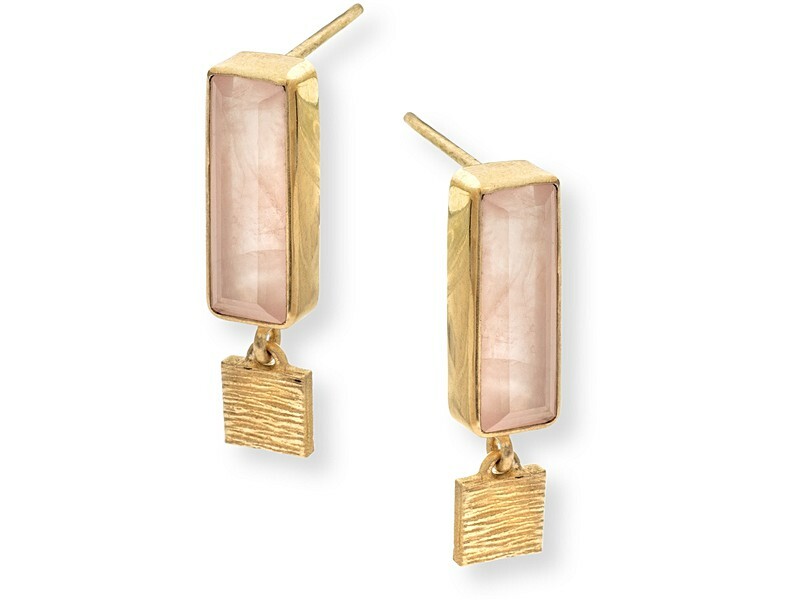 Bold statement earrings are very in right now so it can hardly be a surprise that we love these bold gold-plated brass and rose-quartz long square ear-rings. They are big enough to stand out without being too over the top and are perfect for daytime wear this summer. Costing just £28, you’ll get lots of wear out of these.